Marketed by AstraZeneca, Onglyza (saxagliptin) is indicated to lower blood sugar in adults with Type 2 diabetes. AstraZeneca also markets Kombiglyze XR, a combination of saxagliptin and metformin. Both drugs are DPP-4 inhibitors and belong to a class of diabetes medications called incretin mimetics. They work by increasing the amount of insulin produced by the pancreas after meals. Onglyza was approved by the U.S. Food & Drug Administration (FDA) in July 2009, while Kombiglyze XR was cleared for sale in November 2010. The drugs’ most common side effects include upper respiratory tract infection, urinary tract infection, and headache. Onglyza and Kombiglyze XR should not be taken by people who have diabetic ketoacidosis, and the medications are not approved to treat Type 1 diabetes. 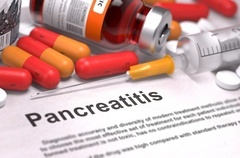 It is not know whether or not the drugs increase the risk of pancreatitis in people with a history of the disorder. Individuals being considered for Onglyza or Kombiglyze XR therapy should tell their doctors if they have kidney problems, are pregnant or plan to become pregnant, or are currently breast feeding or plan to breast feed. Patients should inform their doctors of any prescription or over-the counter medications they are taking, as well as any vitamins or dietary supplements. In 2013, the U.S. FDA announced that it would be reviewing the entire incretin mimetic class after one study linked the Type 2 diabetes drugs to precancerous changes in the cells of the pancreas. While the agency has so far been unable to conclude that the drugs may cause pancreatic cancer, its review is ongoing.